Asked – Many of our unit owners and some Board Members live out of state. 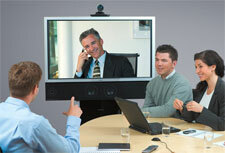 The Board has opted to hold “virtual” board meetings via web-conferencing. Is this permissible? California Corporation’s Code Section 7211(a)(6) permits Directors to hold meetings through the use of “conference telephone or electronic video screen communication” so long as they are able to hear one another and participate in the meeting. The “Open Meeting Act” (California Civil Code Section 1363.05), however, allows members to attend all meetings of the Board of Directors. The web-conferencing platform must therefore allow all members to attend the meeting electronically and participate in open forum during the meeting. Most modern video-conferencing platforms contain this type of functionality. However, if there are any owners wishing to attend the virtual meeting who lack the technology or know-how required to do so, the HOA may need to take additional measures to accomodate such owners. These measures may include setting up a computer/web-conferencing terminal in a common area building or working with the HOA’s management to find a similar solution. Web-conferencing is slowly becoming a more valuable tool for HOA Boards of Directors. In addition to providing an added convenience to owners wishing to participate more in HOA affairs, it can also serve as an efficient and cost-saving communications tool between the Board and the HOA’s legal counsel.